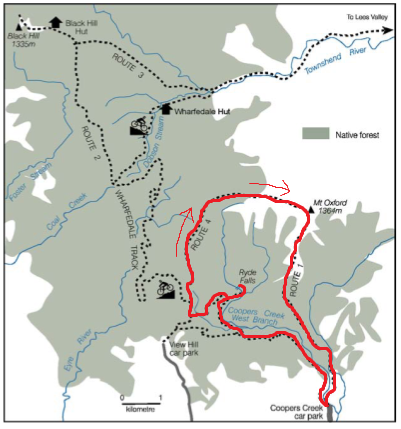 We’re gearing up for three of our WPI friends coming to visit us over the next 2 weekends and another big hike after that. Therefore this weekend was a well deserved break. We even passed on going to the cricket match in return for lounging around not doing much. This past Sunday, February 22 was the 4 year anniversary of the most major earthquake to rock the city. I say the “most major” because from September 2010 through 2012 the city was rocked with pretty constant aftershocks. When I was here in 2012, feeling a small earthquake every couple of weeks was normal. 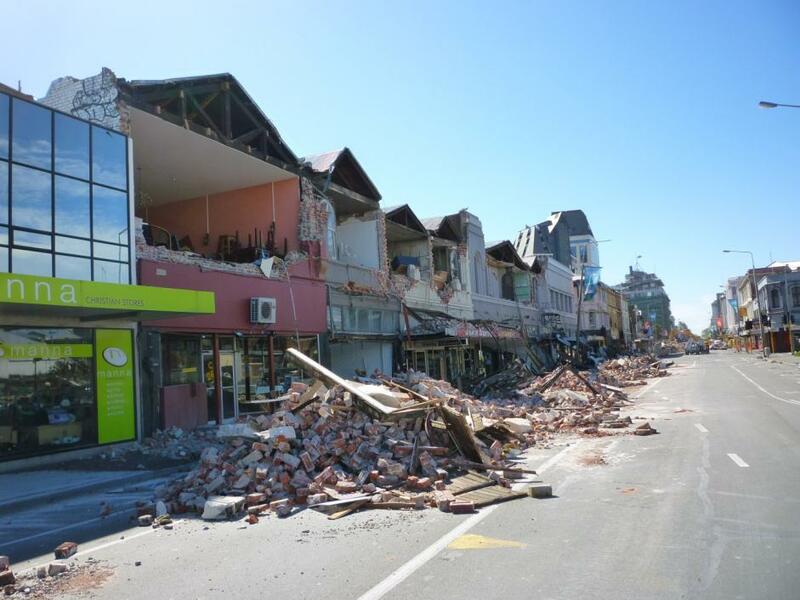 The February quake caused catastrophic damage in the central city and claimed 185 lives. 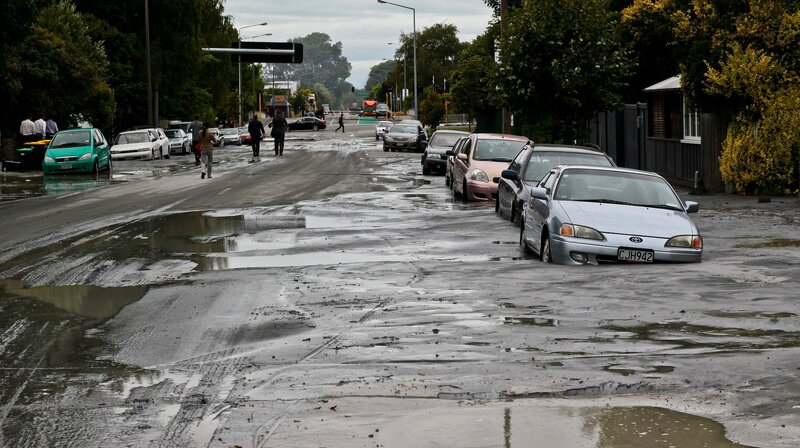 The liquefied soil that emerged from the ground left the roads in shambles and buried cars. So when the documentary – “The Day the Changed my Life” – aired this week, Keith and I figured we ought to watch it to learn more about the city’s experience before we arrived. (It’s also available online to watch here). Like you’d expect, its one of those things that’s hard to watch. I’d liken it to watching a clip on 9/11. The documentary interviewed a few people who were involved in the aftermath – a reporter, a construction worker that helped retrieve bodies, emergency medical staff, and a husband of a wife that died in a collapsed building. So when I ran around the park on 22 February, seeing the flowers magically appear on top of the construction cones throughout the city, I couldn’t help but reflect how and why I came to be here and my responsibilities as a structural engineer. Most weekends, if we don’t have a big trip planned in advance, our days end up being pretty spontaneous or really just based on the weather. 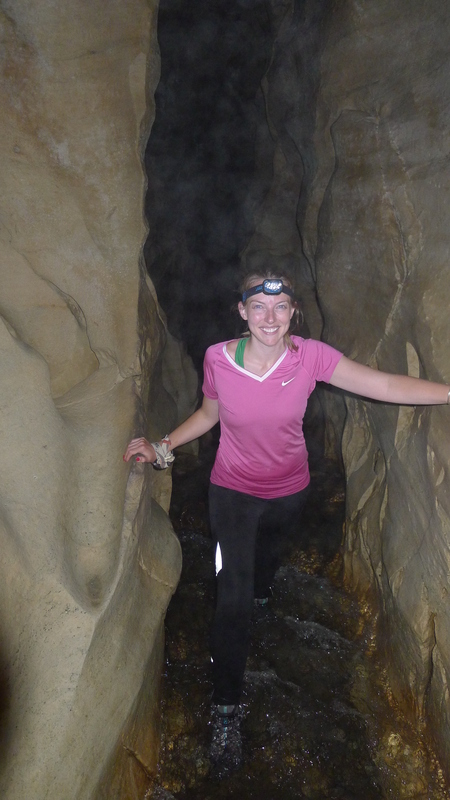 We’ve been waiting for a warm weekend day to try out “Cave Stream.” Trudging through water in a damp cave just didn’t seem enjoyable all winter or spring. Therefore, Saturday was the day! After a run we hoped in the car and drove west. Well…first we picked up a hitchhiker and then all of us drove west. Ever since we felt guilty about plowing by three ladies on the side of the road a few months ago Keith and I agreed we would pick up the next hitchhiker we saw (as long as they didn’t look too crazy). I would NEVER do this in the U.S. 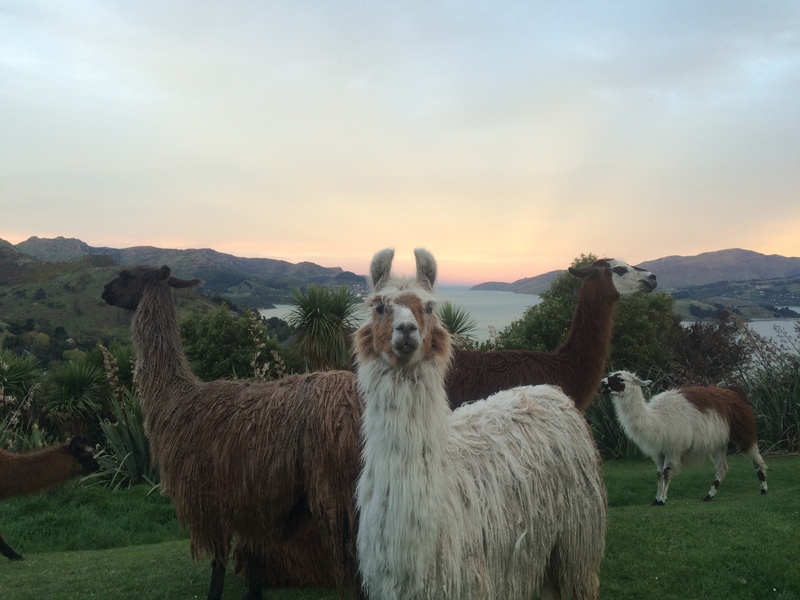 In New Zealand hitchhiking is just how people travel, it’s a way of life or a right of passage for the international traveler! So our new friend Ryan hoped in the car and we had a good hour-long conversation about his homeland of the Netherlands, how he took a year off of teaching high school chemistry to travel the world with his girlfriend, and how he was heading into the woods of Arthur’s Pass for 2 weeks of intense backpacking before his girlfriend arrived to do some lighter hiking. Quite enjoyable! 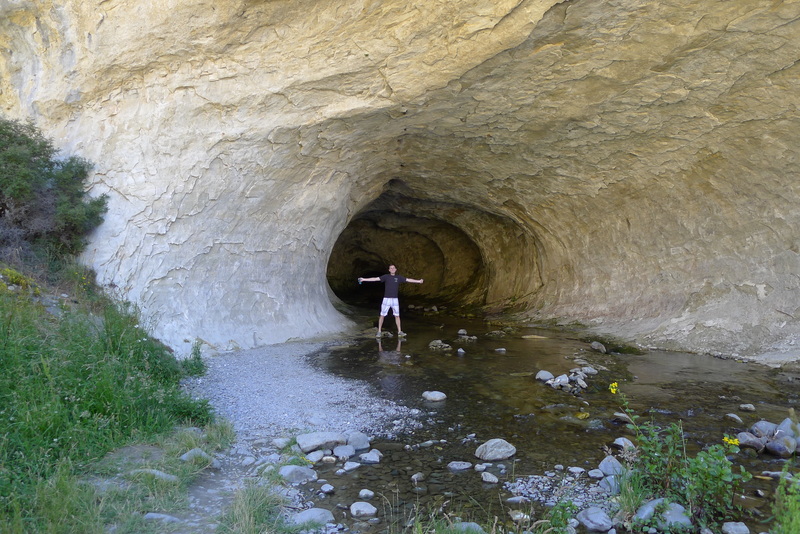 We pulled into the cave stream reserve and sent Ryan on his way. There were a ton of people parked in the parking lot…of course, per usual, Keith and I walked to the mouth of the cave and no one was to be seen. 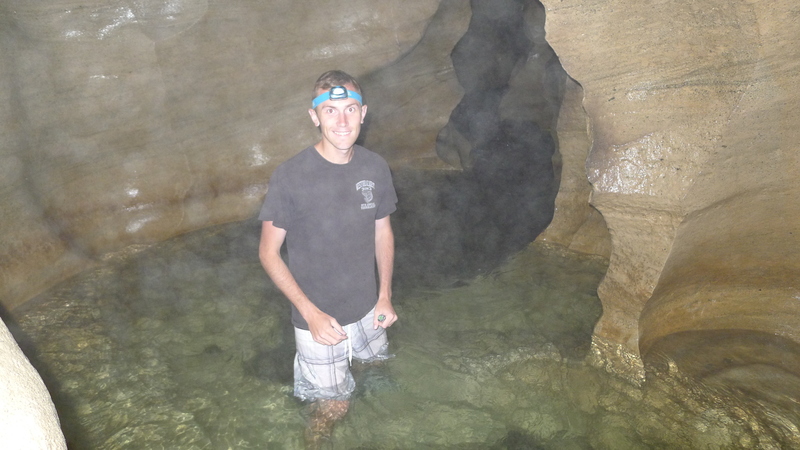 I’m pretty sure tourists show up and take a look at the cave and don’t dare to enter…or are just not prepared with headlamps…or don’t think they’ll get so wet…or are scared away by the scary DOC signage. 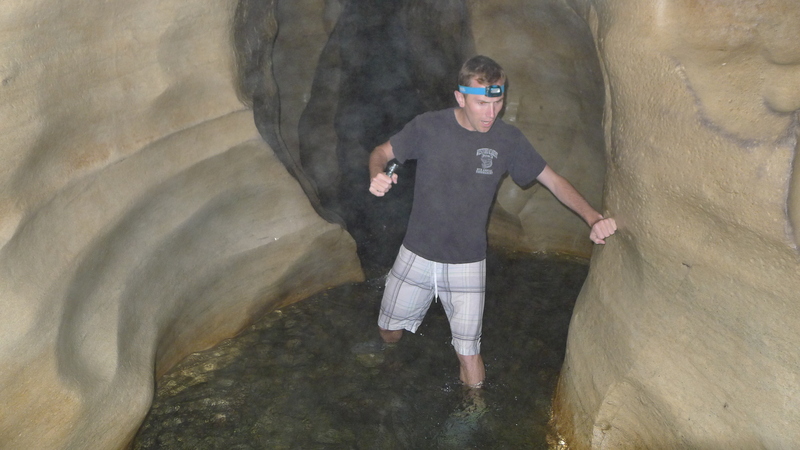 Enough of my coworkers have raved about cave stream that we were pretty prepared. I wore spandex, Keith wore a bathing suit, we both wore sneakers (highly recommended! 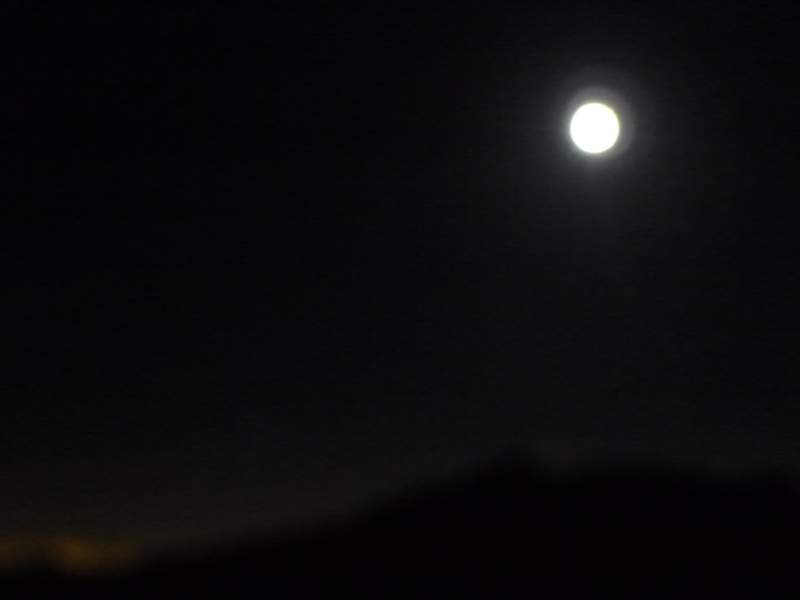 ), and we both brought a whole lot of light sources. 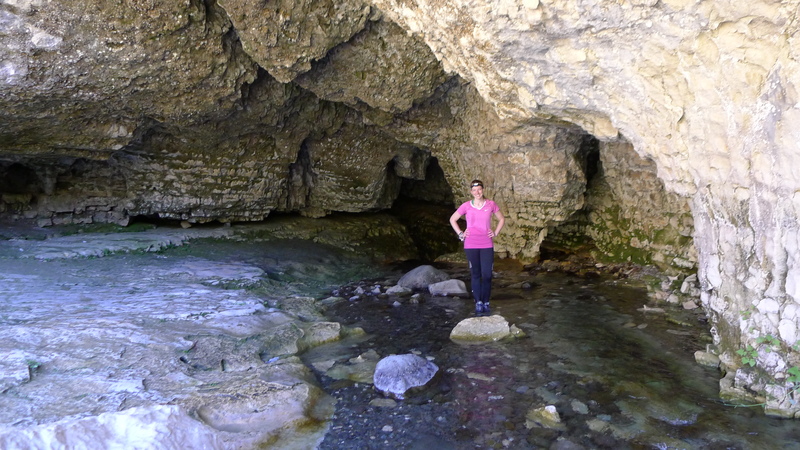 A couple of parts of the cave were waist deep, but otherwise we were trudging around in flowing water about ankle or knee-deep. I’m not a huge lover of confined spaces, but this was pretty cool. 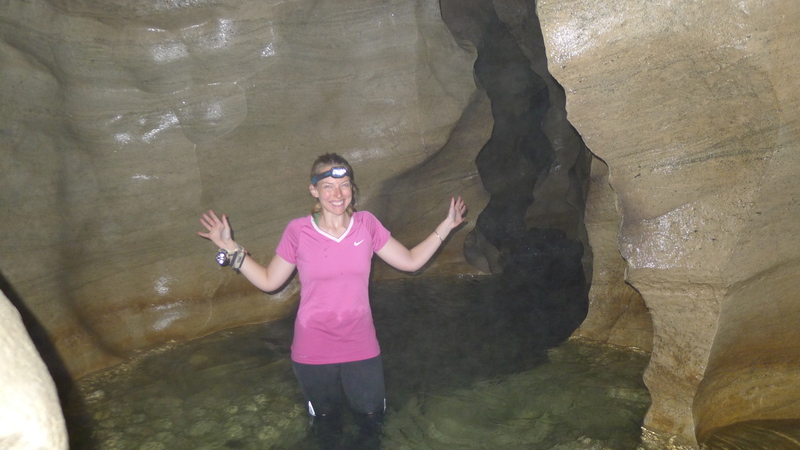 After the 500 m cave jaunt, I realized I would definitely do this again, or at least take more friends to come enjoy! 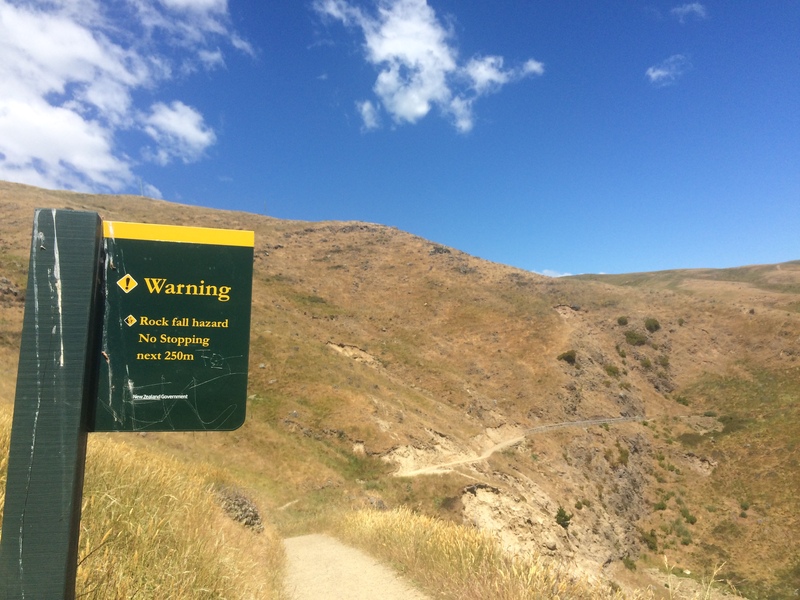 The end was the diciest part–you have to climb up 3 m to get out. Luckily, the DOC helped us out by anchoring in some ladder steps and providing a chain and a little step so one can crawl along the ledge (see the lady in pink below). I would not recommend doing it backwards like the photo below, but to each their own! 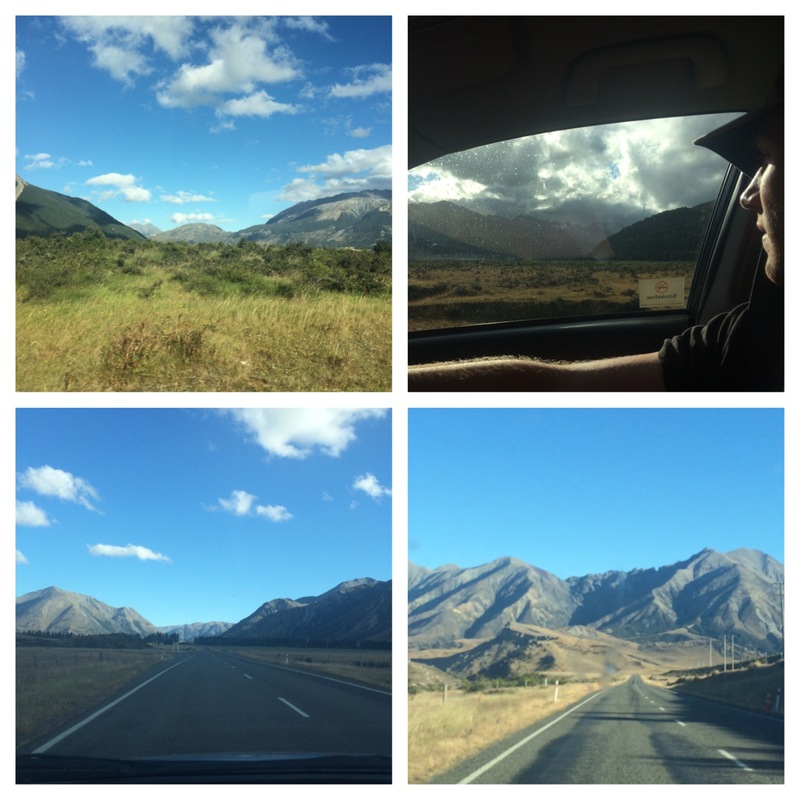 Afterwards the day was still young, it was still light out, so why not keep driving to Arthur’s Pass? 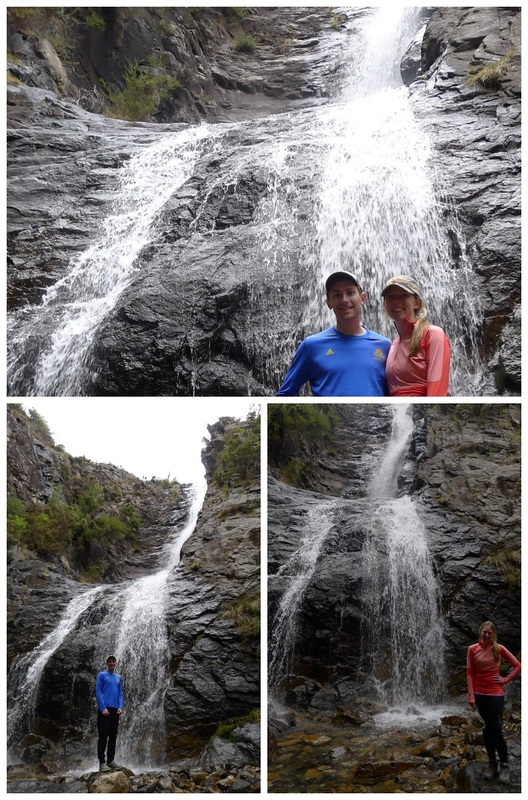 Neither of us had done the short hike to Devils Punchbowl waterfall, so why not? 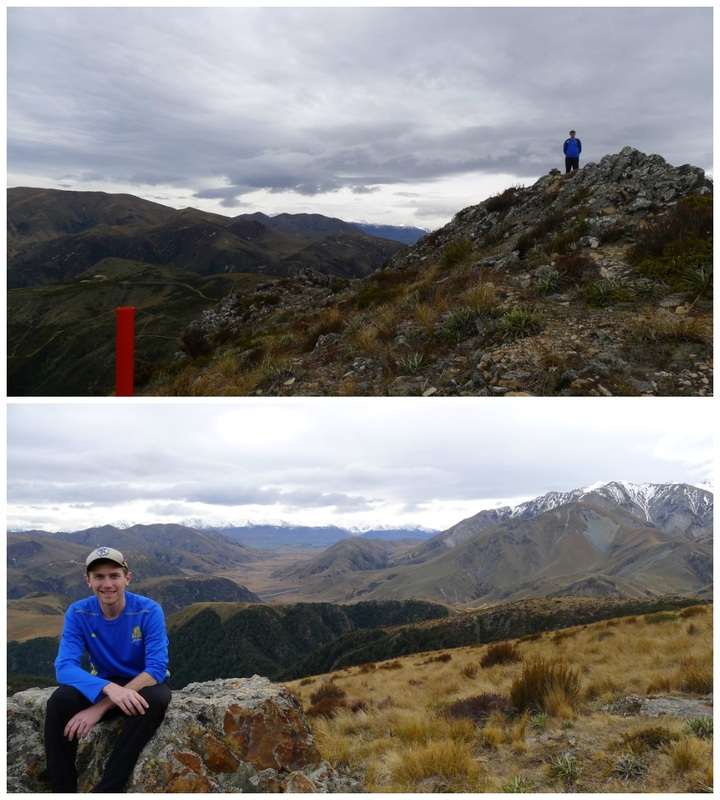 It was a pretty easy/quick hike (although a lot of steps to climb) for an amazing view. 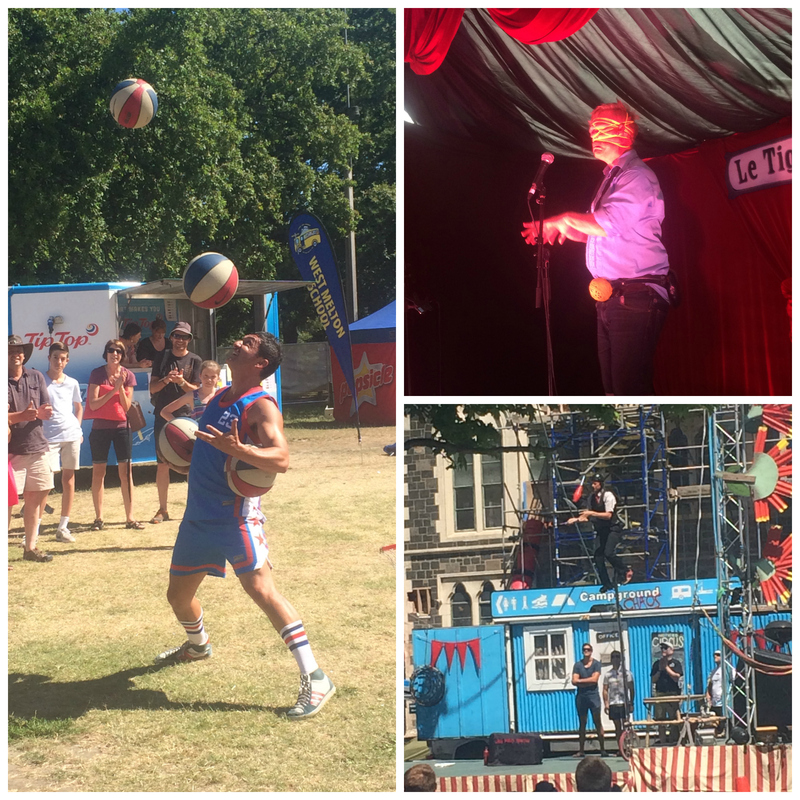 On Sunday we decided to check out the World Buskers Festival! Know what a busker is? Neither did I, but basically its a fancy word for a street performer. Famous street performers travel in from all over the world to perform in Christchurch for 10 full days. It has been a pretty fun time thus far! On Sunday we saw a Minnesotan juggle a knife and fire while riding a 12′ tall unicycle, a man juggle 5 basketballs, and a guy oddly throw multiple rubber bands around his face (talk about weird!). Last night a few colleagues and us went to see the nightly buskers comedy festival. “Donations” were $10 each and it was such a funny night. The show included 3 comedians and a hilarious MC. We all left with a pretty permanent smile – a great way to end hump day. On to this weekend where the weather is looking good once again! Well, I’m certainly back into work mode. Its been a busy week of work on a deconstruction project, I guess most of Christchurch (unfortunately) is involved in a deconstruction project nowadays. 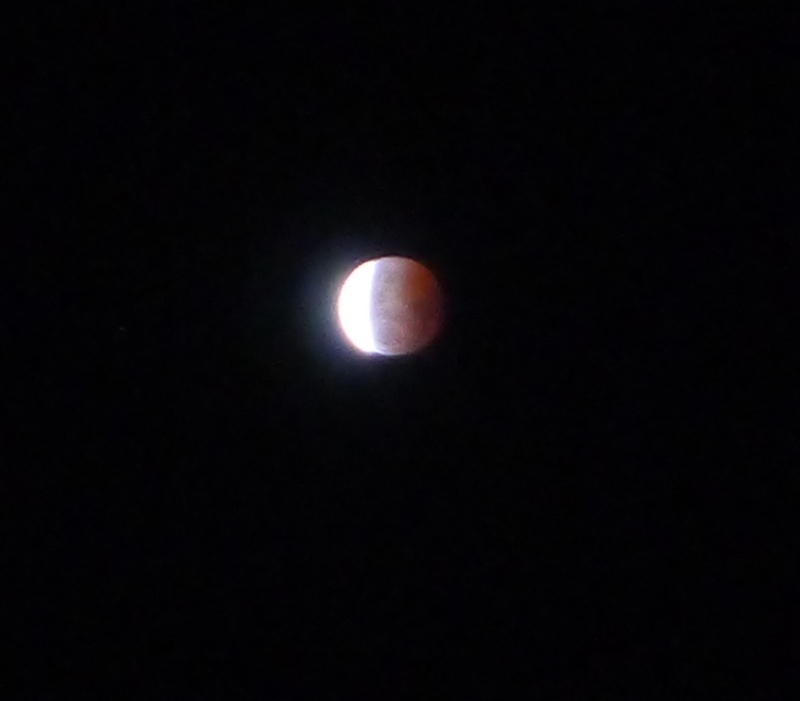 Therefore, this post will be far less full than the past three weeks. 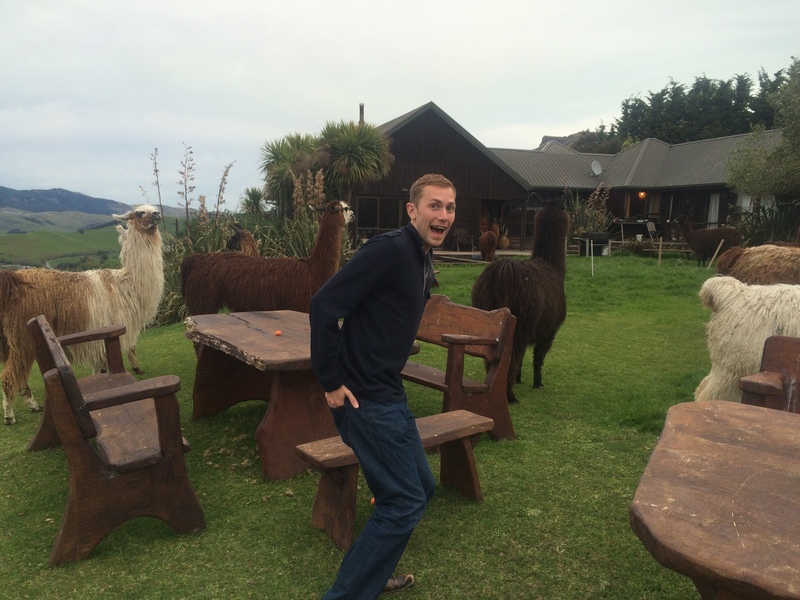 Lucky for this blog, we try to make an effort to do something notable each free day we have. So this weekend, besides finally potting some garden plants, it was off to our first cricket match! This year is huge in the world of Cricket + New Zealand. The Cricket World Cup is coming … and to Christchurch! 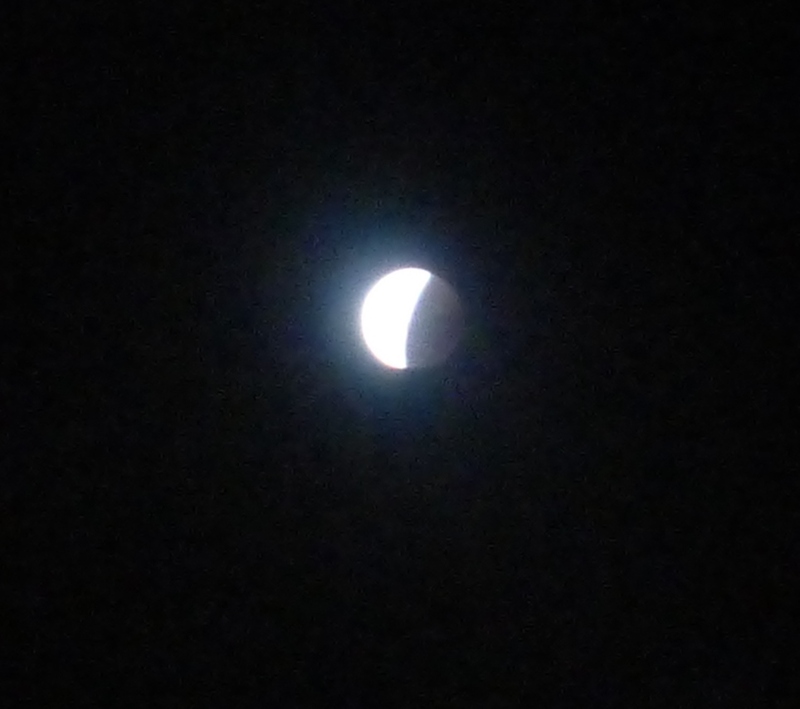 Well, Christchurch…and the rest of New Zealand…and Australia. It’s really the Cricket World Cup in Australasia. 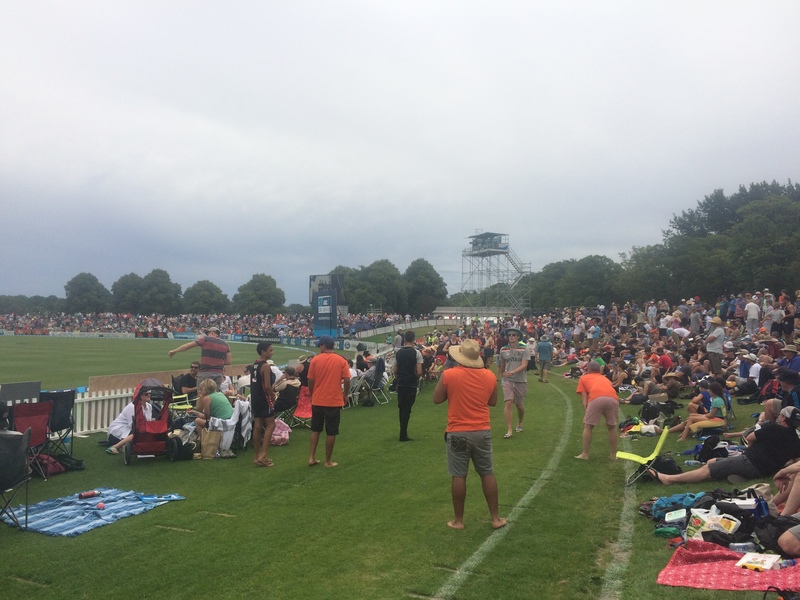 Lucky for Christchurch we host a few of the games and the newly constructed — Hagley Oval. Like most buildings in Christchurch, the previous stadium shut down after the earthquakes, so for the World Cup they spruced up the oval in the park. This is much preferable to a “concrete jungle” stadium. Because cricket matches last DAYS and every day lasts HOURS, having the opportunity to picnic on a vast long is much preferable to a big stadium. The Black Caps (New Zealand’s national cricket team) were playing a test match game against Sri Lanka at the Oval this past Saturday. The tickets for the Black Caps game during the upcoming World Cup are sold out, so we figured a day-long test match would be the easiest opportunity to check them out. We grabbed a pair of $40 tickets on Friday and found the game to be sold out the next morning. I would assume its a common occurrence at cricket stadiums since the games are so long, but at least at this game we were able to pack a cooler full of food, blankets, and even chairs if we wanted (general admission meant you were able to claim a spot on the grass anywhere). There is only one inning, one team goes, for several hours until they either bowl (“pitch”) enough balls or get 10 members of the 11 person opposite team out. It takes a lot longer to get someone out than in baseball and the batter keeps hitting balls until he gets out. Two batters stand in the middle strip (called a wicket…although lots of things are called wicket, it gets confusing). There is also something called a wicket behind each of them – aka 3 sticks standing up on the ground. One will bat depending on what side the balls are bowled (“pitched”). Runs are scored by each batter running to the opposite side where the other batter was standing while the fielding team tries to go catch the hit ball and bring it back (1 run), the batter hitting the ball outside of the boundary (4 runs), or over the boundary without hitting the ground (6 runs!). An out involves someone catching a ball before it hits the ground (so batters tend to avoid popping the ball up), hitting the wicket while the batters are running to the opposite end, or hitting a wicket during the bowl (“pitch”), there’s some other ways to get out but those are the main ones (I think…). So runs continue to get scored and eventually the fielding team bowls their allotted balls or gets 10 of the batting team out. Then the fielding team becomes the batting team and their entire goal is to score more runs than the first team that was up. How’d I do cricket experts? OK overview? Anyways this all leads to a pretty nice relaxing day of sitting on the grass, eating, and watching the game. When someone hits a 4 or a 6 or gets an out it’s always a nice applause and a break of just sitting and eating and chatting 🙂 Another big deal, rephrase – HUGE deal, is a century. A century is when a batter hits 100 runs in a row (so no one gets him out for a pretty long time). During this game one of the Sri Lankan batters got a century, despite being on the opposing team, everyone stood up and was clapping and cheering for him. Cricket…the civilized, nice people sport. This month Christchurch has had these giraffe statues hidden all over town (well, you can’t really HIDE them). 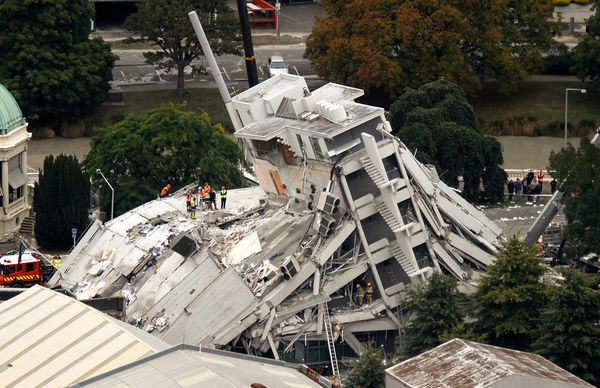 It’s an art installation called “Christchurch Stands Tall”. All the giraffes are themed depending on their location. 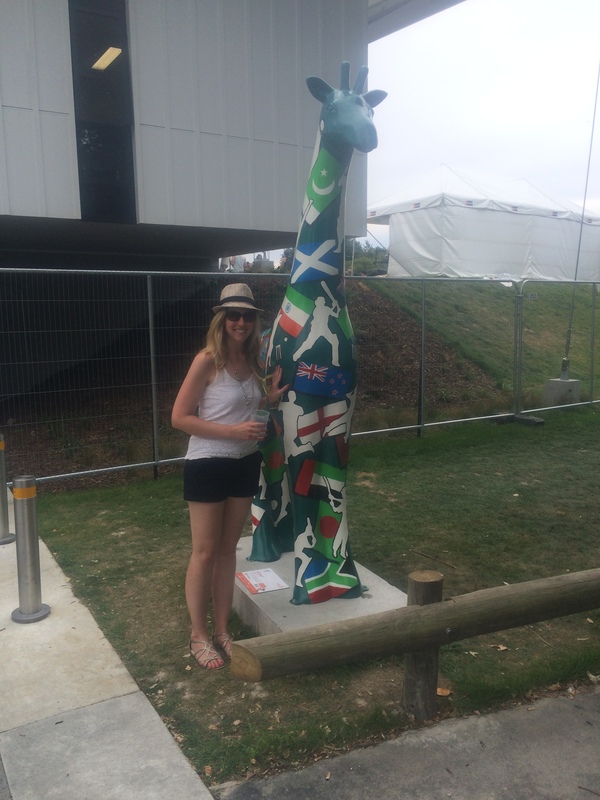 Therefore, I had to take a photo with the cricket giraffe I found at the Oval. That’s all for now. Back to work, and back to scheming up what we’ll be doing this weekend! Happy Thanksgiving all! This year I got lucky and my company got a surprise extra holiday. Therefore, us in the New Zealand office decided to utilize that during Thanksgiving. We have Friday off and most of us will be getting together for a tasty meal tomorrow. Last weekend Keith & I stayed in town, and the weather predictions were overdone per usual. The weather was beautiful (at least until the evening), so Keith and I headed out to Taylor’s Mistake for an afternoon run. 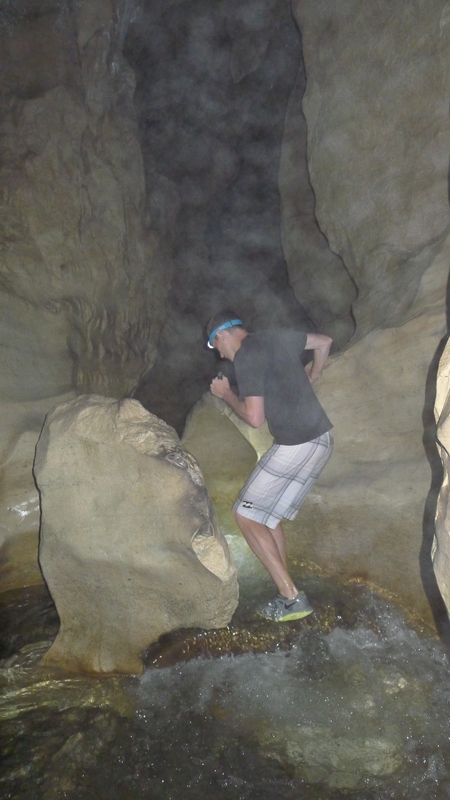 Running is always easier when there is a fear of rocks falling on you, right? It was a beautiful backdrop for the day. After a nice run we went to the beach and decided to try the water. It was FREEZING, but everyone else swimming looked like they were having a great time. 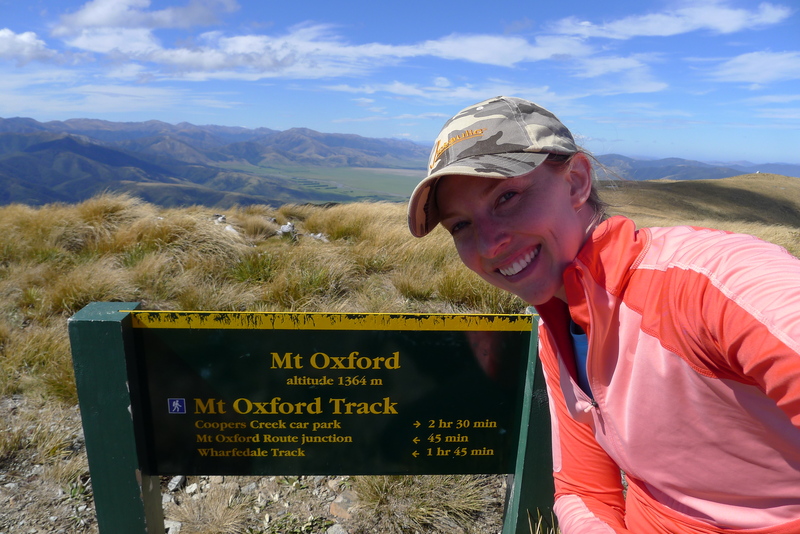 Mt Oxford doesn’t look like much considering it’s on the outskirts of the southern alps, but in relation to our minimal east coast mountains, it is rather high! At 1300 m and an elevation gain of 1000 m it was not quite a Mt Washington climb, but at least something like climbing Mt Monadnock…twice. 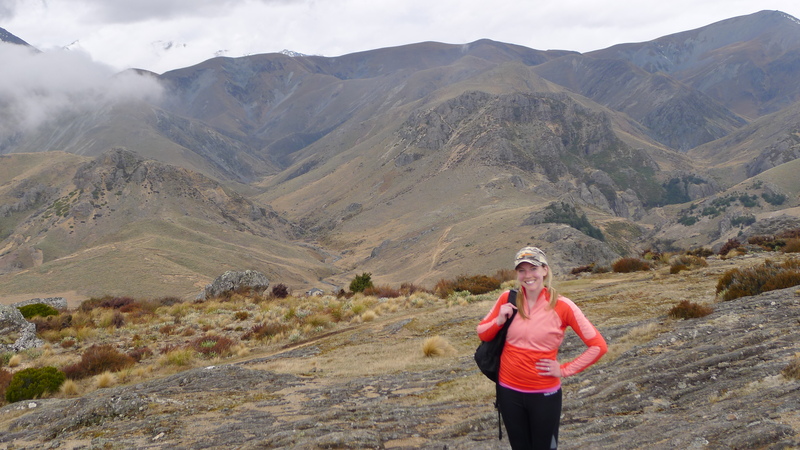 I have never felt so exhausted hiking in New Zealand. 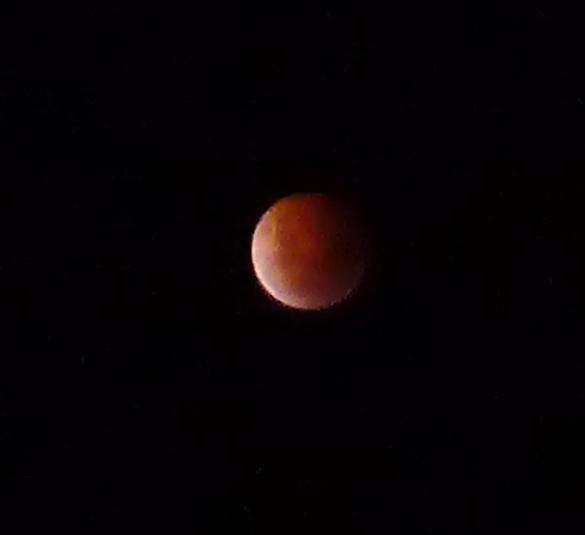 It got to the point where I would literally trudge 3 steps and then instantly forward fold and catch my breath. 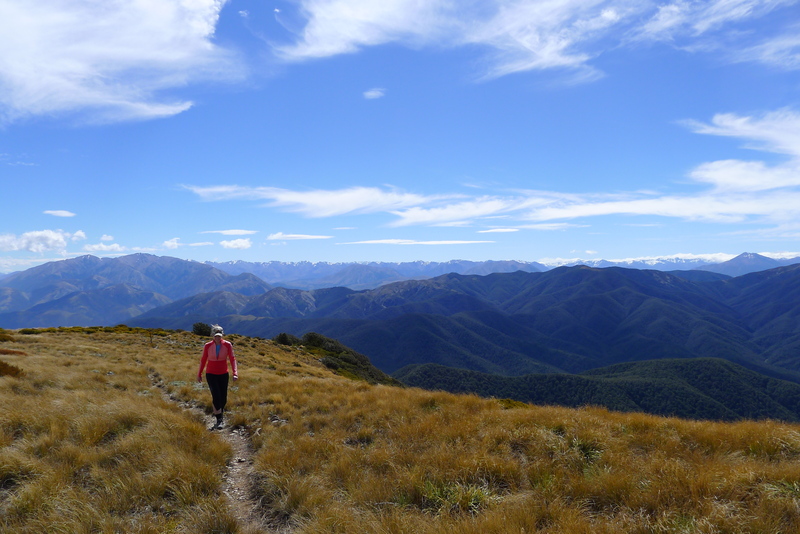 We tried to tell ourselves this was good training for our upcoming Kepler Track walk. In the end it made for some great views. 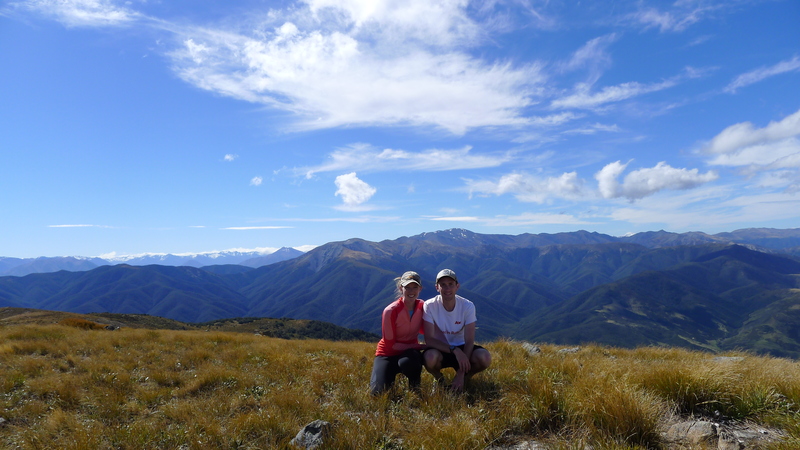 However we both agreed you can hike with far less effort in New Zealand for the same or much better views. 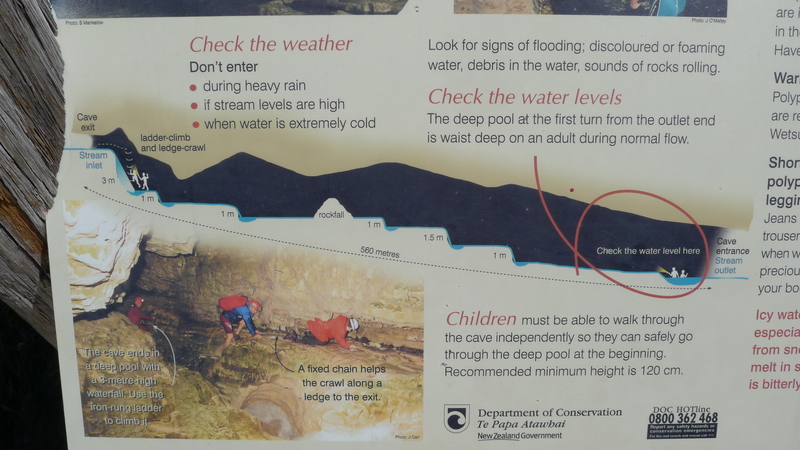 We like to make a point of beating the times shown on all the Dept of Conservation (DOC) trail signs. 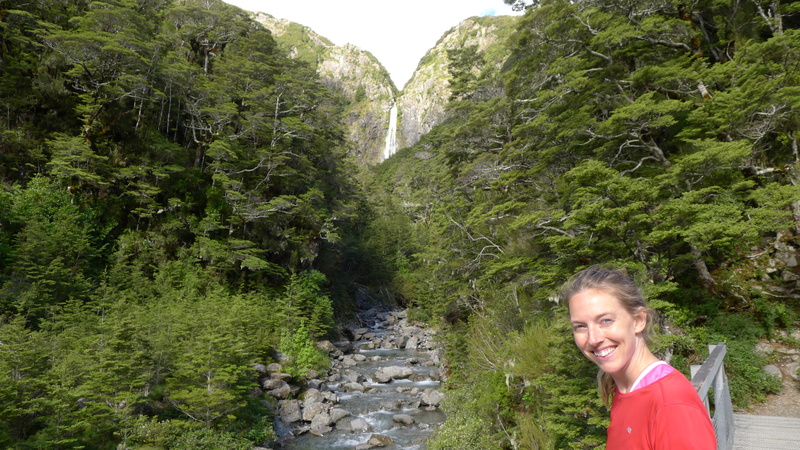 New Zealand trails love giving you an estimated time it will take you to get to a certain point. We typically crush the DOC time. The uphill was one of the first times it took us a bit longer We did, however, crush the downhill and even jogged a bit of it (you kind of had to since the trail was so steep!). Half of my speed was probably my need for water (yes, I went through my Nalgene far too quickly in the beginning of the hike). Overall, a lovely 7 hours of exercise on Sunday afternoon! I won’t be blogging next week as we’ll be back in the States but I will be back once we return. 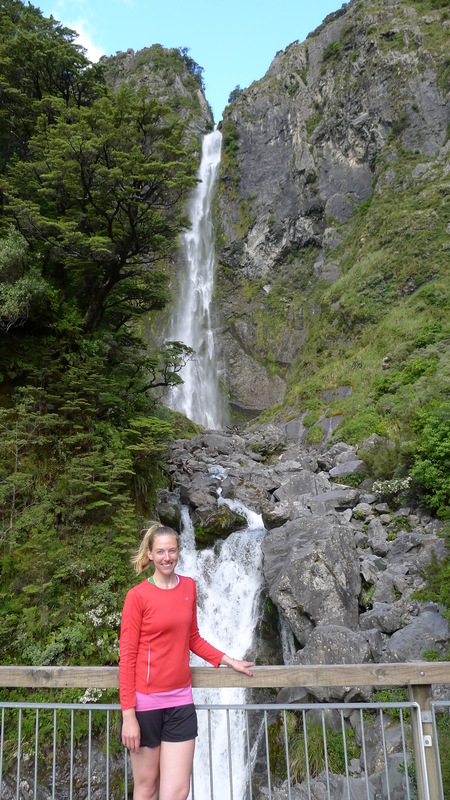 We have some fun things planned before Christmas — Routeburn Track, some running races, wine tasting, swimming with dolphins, climbing to Mueller hut (channeling Sir Edmond Hillary) , and then the most epic Christmas vacation ever! Looking forward to it all! We’re nearing the 6 month mark, guess its time to get ready to go home for an America break next week! 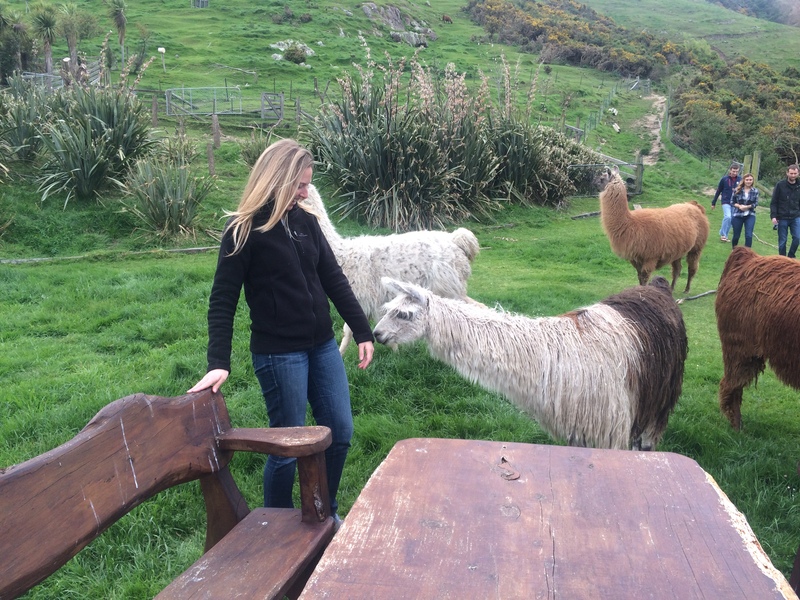 I thought this week would be a bust for blogging, but luckily my colleague invited us over for dinner Sunday night. Now…most of us live in your typical flat near the center of the city. 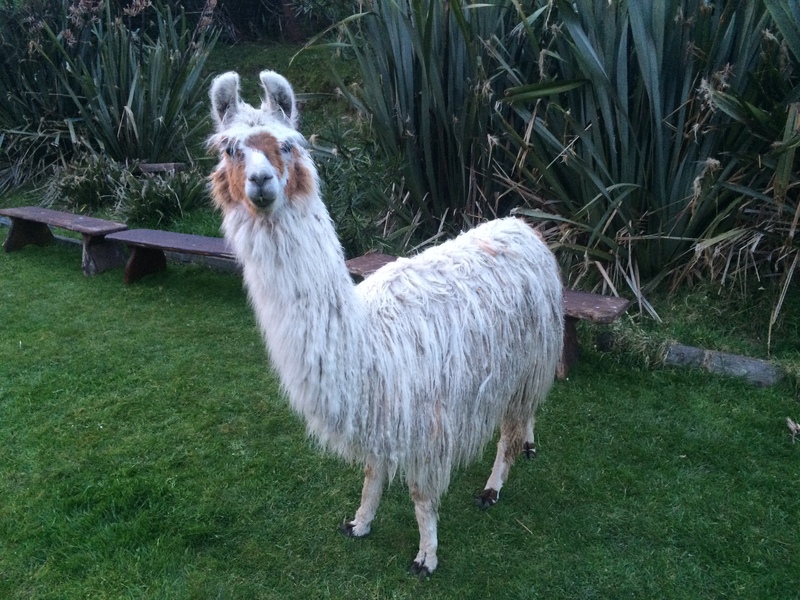 However this flat was at…Llama Lookout! 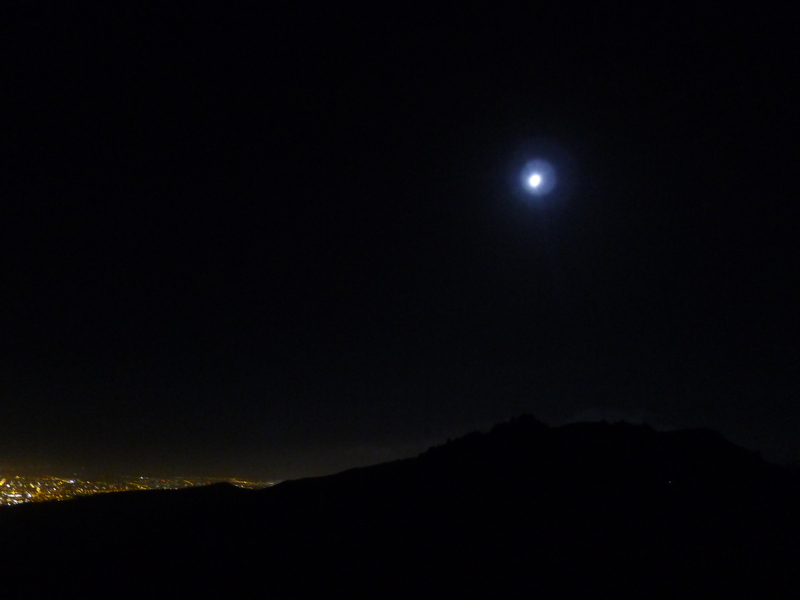 A bit of a drive from the office (a whopping 30 minutes); however, the views appear to be worth it. 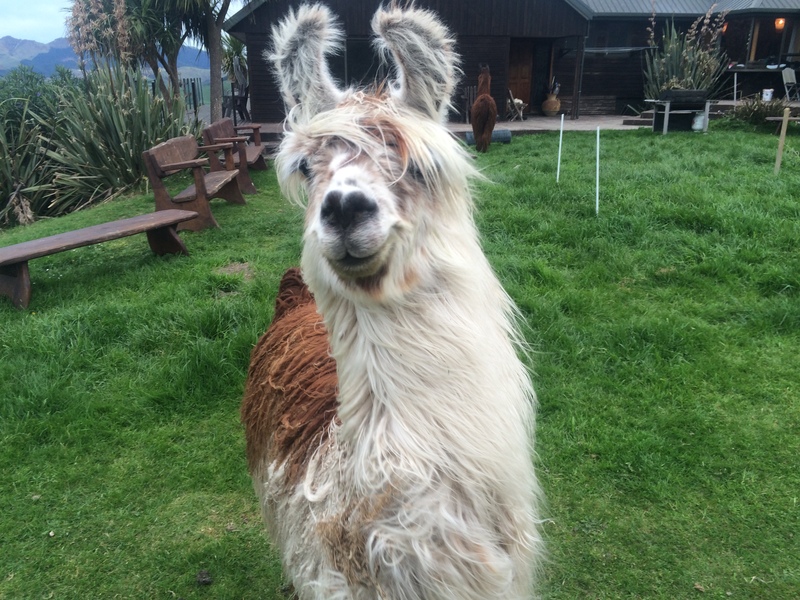 I’m a bit lazy this week (aka busy with stuff besides blogging), so now I will just flood this post with llama photos. Enjoy! 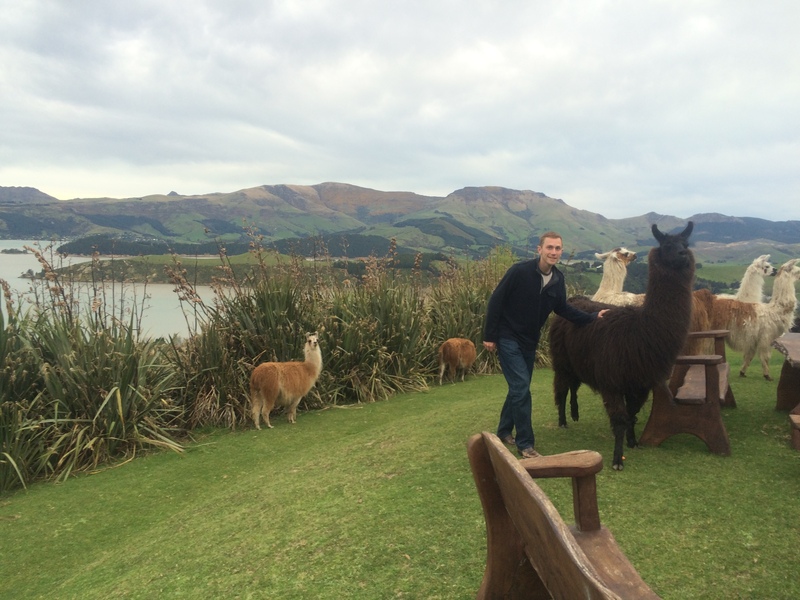 Apologies for the late post for anyone paying attention to my typical blog schedule. It’s been an interesting week of getting prepared for some upcoming court cases. As an engineer this just means making sure all your documents are in order, you’ve reviewed everything pertinent to your case, and you think carefully about every single statement you write down. Between that and taking time to celebrate Keith & my 3rd(!) anniversary yesterday its been quite busy! Our 1st anniversary I was here and he was back in Maryland. 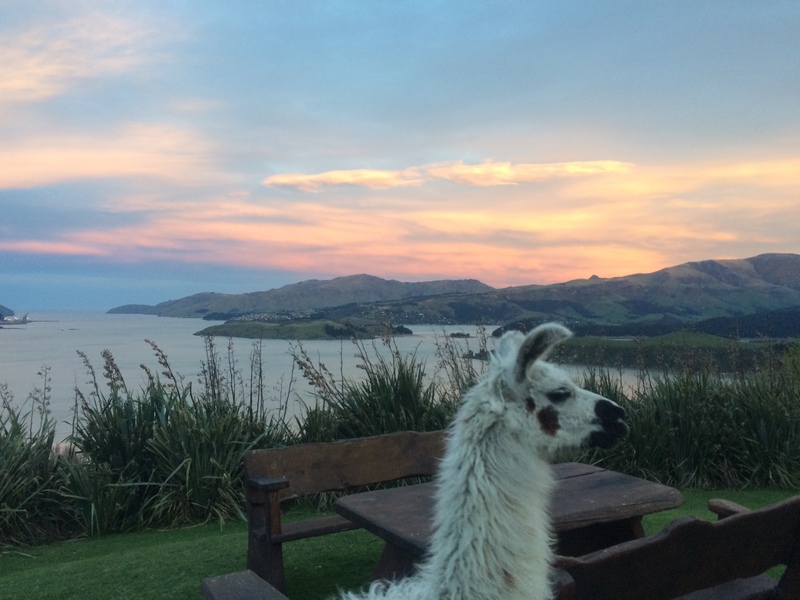 Therefore, it was lovely to both be in New Zealand this time. 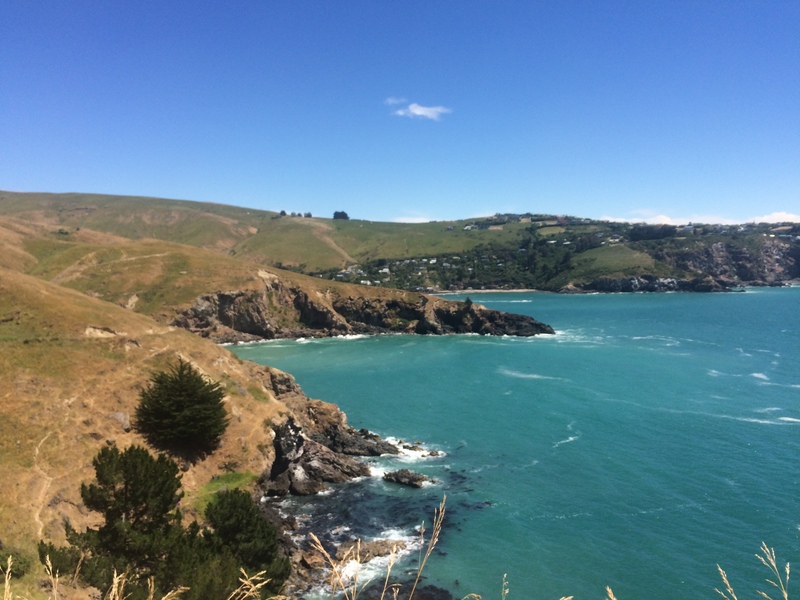 This past weekend I planned a detailed & packed day trip to the west coast. As probability would have it, it POURED. I literally woke up at 6am on Saturday hoping the weather forecast changed. 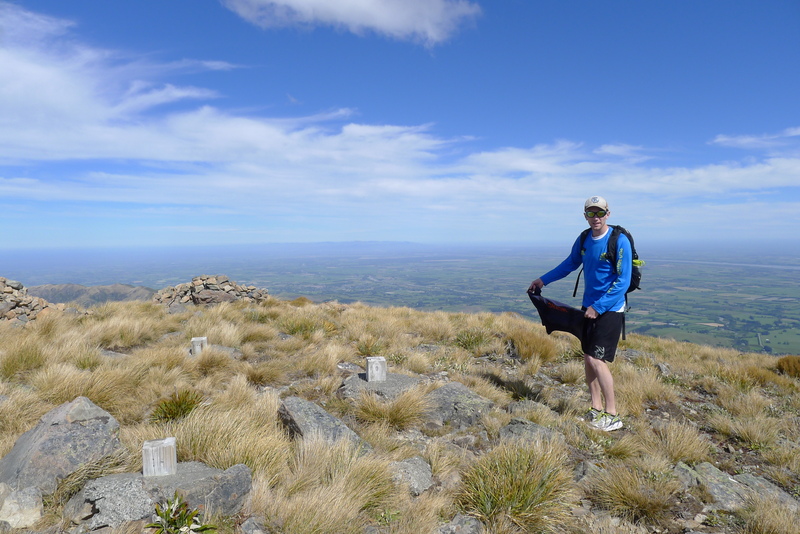 When it hadn’t I picked the closest spot that the rain radar didn’t show up–Mt Somer–and we drove there instead! 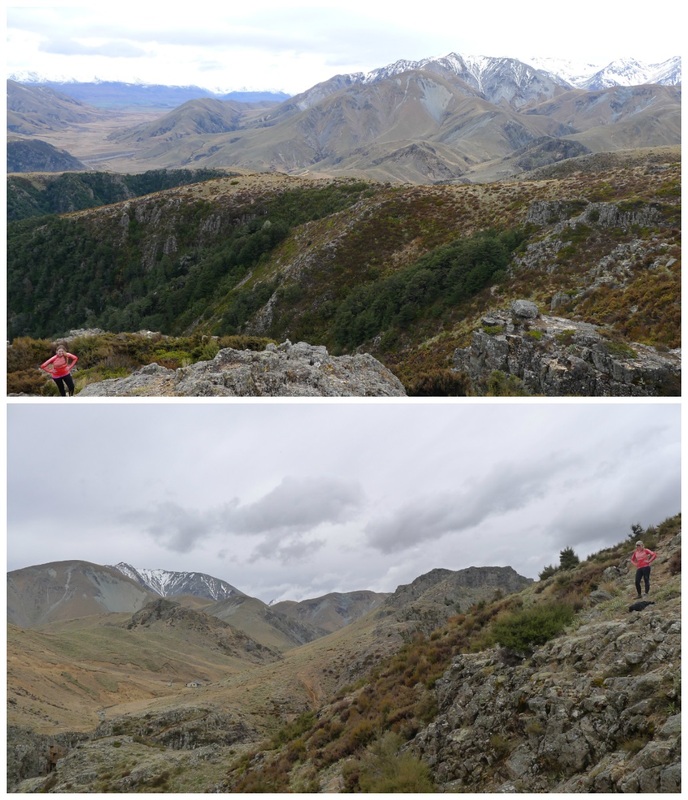 We drove about 1.5-2 hours, onto private property, past a lot of sheep, and down a long dirt road, and we finally got to the Woolshed Creek Parking lot. 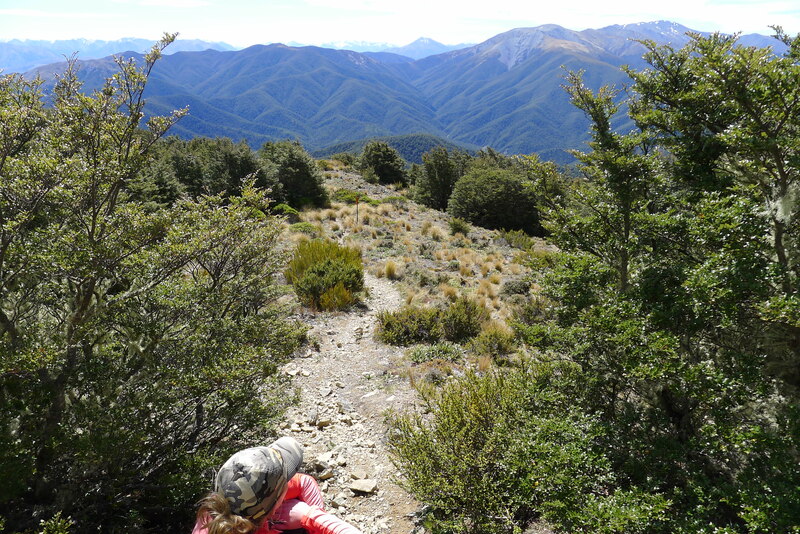 We embarked up, up, UP the Rhyolite Ridge Track, up and down some valleys, made it to the hut, and walked up and back down to the parking lot. It was tiring 5-6 hour tramp. Yet, awesome and beautiful and we felt like the only ones on earth for a bit. 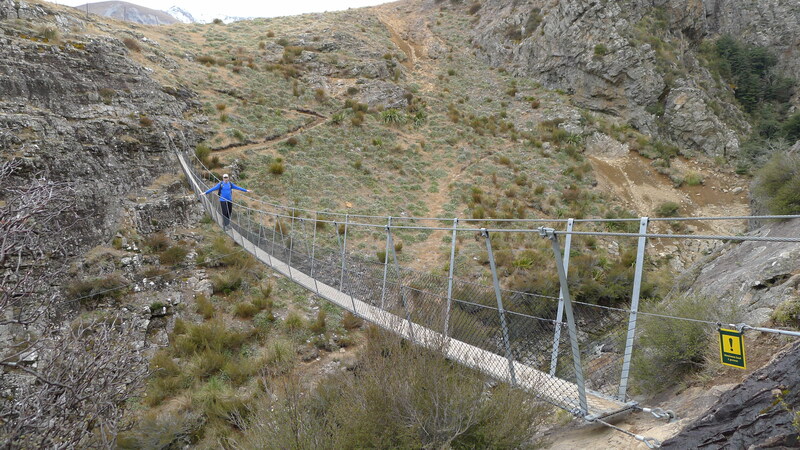 Not going to lie, by the time we got to the swing bridge I was tired of heights and it didn’t help much. Remind me never to design a bridge that only has the load capacity for 1 person. We arrived at the hut where we saw our first other humans of the day. 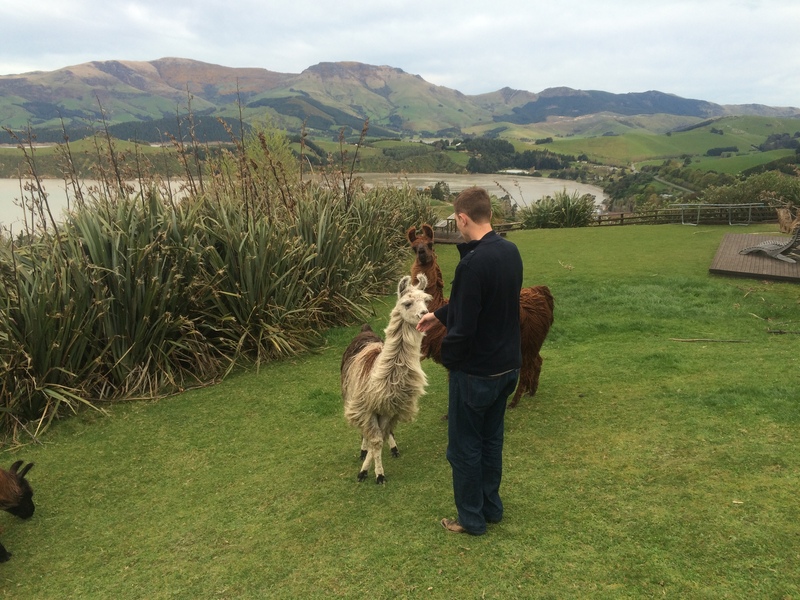 We stopped briefly to chat with a kiwi couple and then continued on our way. If you look closely below you can see the hut far behind me to the left. 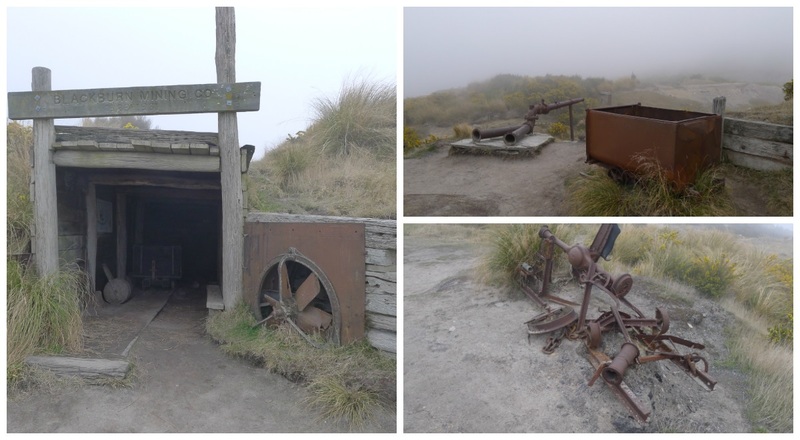 As we continued further down there were areas of old mining relics. By this time the fog had really rolled in, so it was nice to have some other fun things to look at besides the hidden view. 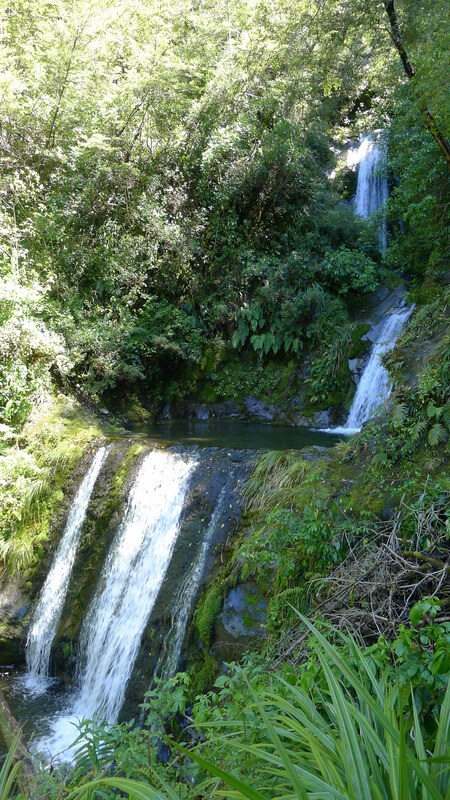 Overall an amazing day hike I would recommend. 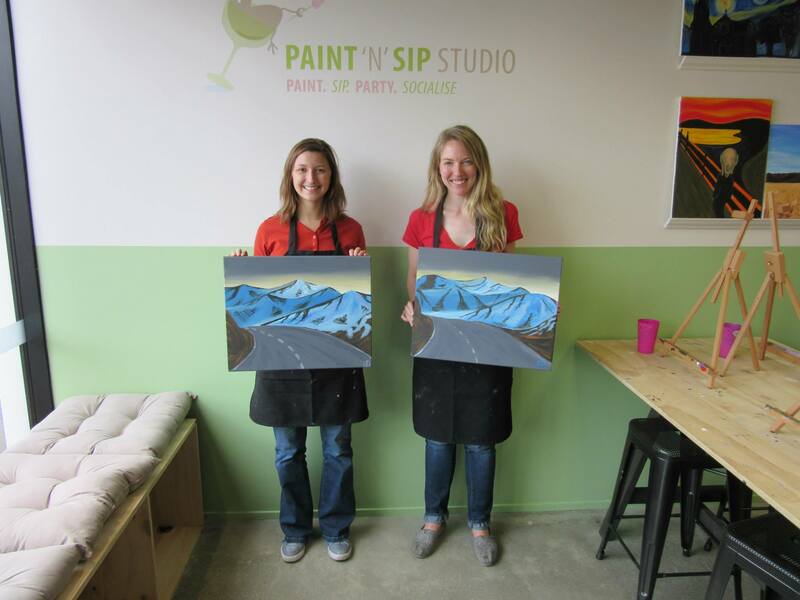 With a full Sunday left in the weekend I met my coworker for a class at Christchurch’s first painting & wine studio. 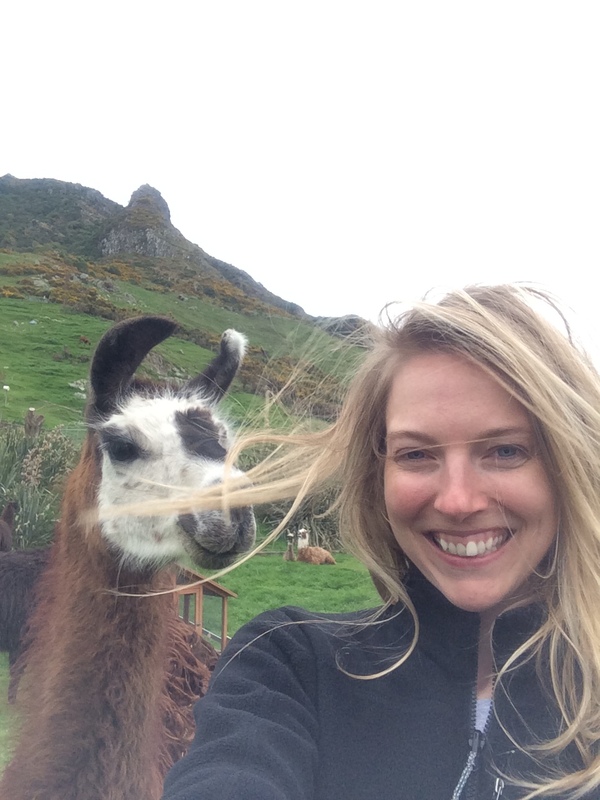 This trend has not yet caught on in NZ so a local young American opened up her own business. 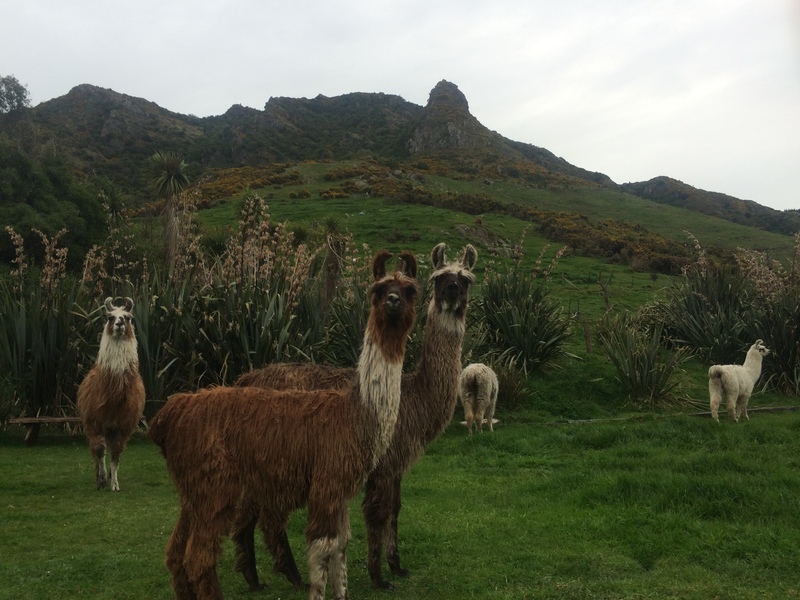 So far it seems to be thriving in Christchurch. 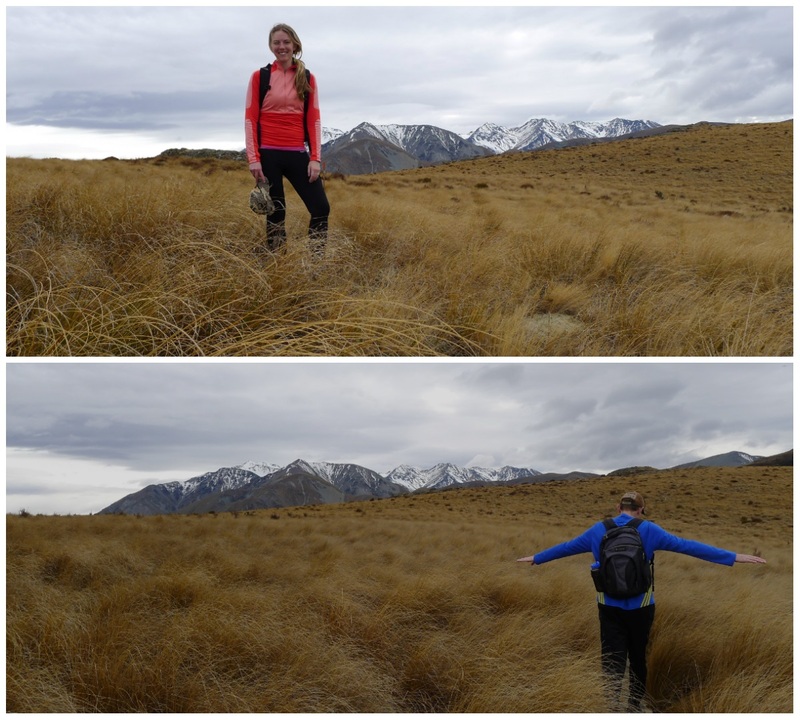 Kiki & I chose to do the “snowy lindy pass” because it reminded us so much of quintessential New Zealand. That’s all for now! For the next two weeks I’ll be working & studying all the time before we return to the States for 10 days. I’ll attempt to creatively post a couple of things before then. Cheers!